All recyclable materials have their worth, but non-ferrous metals are particularly valuable. If your company produces scrap metal or if you are interested in the effects of recycling on the environment, then you can benefit from learning more about non-ferrous metal recycling near Atlanta. Non-ferrous metals include copper, zinc, tin, nickel, aluminum, lead, gold, silver, platinum, and others. The metals in this category do not contain iron, are non-magnetic, and are more resistant to corrosion than ferrous metals. Of all the recyclable materials, non-ferrous metals are among the few that do not break down or lose their physical or chemical properties during the recycling process, meaning that they can be reused an infinite number of times without changing in composition. These characteristics make non-ferrous metals incredibly valuable recycling materials. 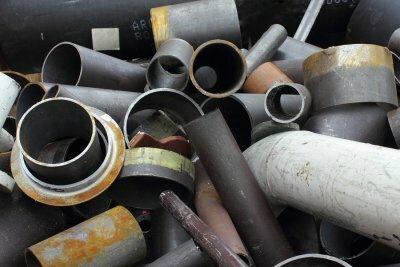 What items are made from non-ferrous metals? A large amount of the non-ferrous metal that is recycled in the United States comes from industrial waste resulting from the production of goods like cars and appliances. Some examples of industrial sources of non-ferrous scrap metal include automobile batteries, radiators, boats, window frames, airplane parts, aluminum siding, pipes, and electrical wires. 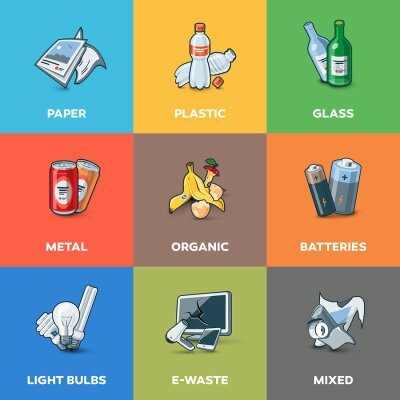 As a consumer, you might find yourself recycling these metals in the form of soft drink cans, packaging materials, cookware, cutlery, batteries, tin cans, and door knobs. How are non-ferrous metals recycled? If referring to volume, then non-ferrous metal recycling doesn’t account for much of all recycled materials in the United States. However, in terms of scrap metal, non-ferrous metal scrap made up more than 50% of total scrap recycling industry earnings in the country in 2012. The process starts with non-ferrous metal being collected through industrial, commercial, and residential recycling systems. The metal is then transported to a metal recycling center, where it is sorted. Each variety is then processed, refined, and converted into billets and ingots which are later sold to industries to be transformed into goods and start the process once again. 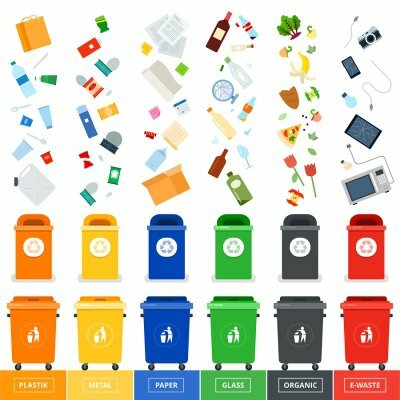 If you recently acquired recycling bins in Atlanta for your business, then you’re probably interested in fostering a green business and reducing your environmental impact. Continue reading to learn about your company’s carbon footprint. A simple way to think of your company’s carbon footprint is the sum of everything it does that impacts climate change. In many cases, a carbon footprint is calculated by creating an estimate of the total CO2 and other greenhouse gas emissions produced by your company’s operation. Once the numbers are added up, they are expressed as in what’s called a carbon dioxide equivalent, which represents how much CO2 would cause the same amount of warming. How is a carbon footprint calculated? To gain an understanding of where your company currently stands as far as its carbon footprint is concerned, you can hire an expert to come in and perform an assessment. To gather the information needed for calculating your business’s carbon footprint, the evaluator will add up as many emissions pathways as is feasible. Some examples of pathways include how much power is required to run your buildings each day, the amount of transportation needed for shipping products to or from your company, and the level of emissions generated by cooling or heating your business. How can I reduce my company’s carbon footprint? To make a dent in your company’s carbon footprint, start by having it calculated, so you know what areas to address. Also, setting up a recycling system is one of the simplest ways in which you can reduce your company’s negative impact on the environment. 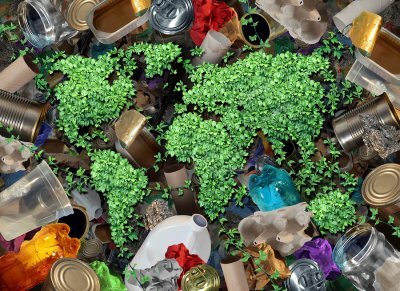 By placing metal, plastic, and cardboard recycling bins in your office or building, you can implement better waste management practices in a way that’s easy to use and maintain. A few other methods to consider are upgrading your company’s light bulbs to LEDs, encouraging working from home for employees, and getting your team in the habit of turning off electronics and lights when they aren’t in use. 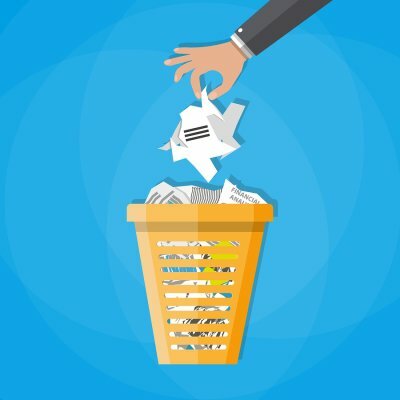 Having an effective and efficient recycling and waste disposal system is important for any business. 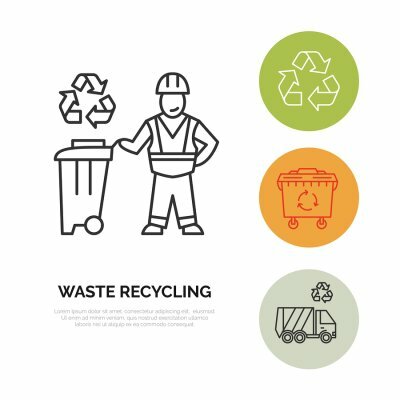 If your company is part of an industry that produces waste, then understanding which materials are hazardous and which are not can be essential for developing a resourceful waste management program. If you regularly deal with industrial waste near Atlanta , then continue reading to learn about which materials are considered non-hazardous. Non-hazardous industrial waste falls into several classifications. Class 1 wastes can be potentially threatening to the environment and human health, and examples of these include liquids that can ignite at temperatures exceeding 150 Fº and soils that are contaminated with petroleum hydrocarbons. Class 2 wastes are typically accepted at local landfills and can include items like non-radioactive non-surgical medical waste and depleted aerosol cans. Finally, Class 3 wastes do not decompose or react with other materials, and they are also insoluble. 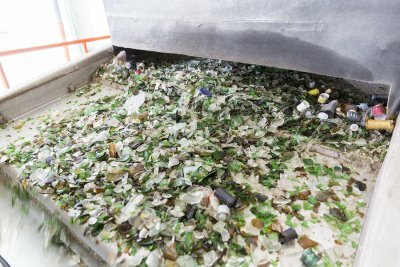 A few examples of Class 3 wastes are glass, rocks, bricks, and some plastics. When you toss a used soda can into a recycling bin for aluminum materials, you may not give much thought to where it goes after or what type of impact that simple action can have. Watch this video to learn how recycling your waste near Atlanta impacts society and the environment. For over 200 years, the recycling industry has provided countless benefits for the environment and the economy. When you place your recyclable waste into a recycling bin, it is processed and converted into a clean, high-quality product. This means that new items can be created with much less environmental impact. Also, in the United States alone, this industry directly employs more than 140,000 people, making it incredibly beneficial to the economy.